The media industry has handed its TAM contract for the provision of TV ratings from Nielsen to CSM Media Research and Kantar Media. The new industry contract will start from January 2018 until 2023. Under the new contract, the two research companies will be tasked to deliver a single view of TV viewing across all devices to its subscribers everyday. All viewing on the TV set, including content transmitted over existing and future terrestrial and non-terrestrial free TV, satellite and Pay TV channels, OTT media boxes, blu-ray and game consoles, will be measured separately. This includes live, time-shift and catch-up services up to seven days, as well as TV and video content that is streamed or accessed over the internet through tablets, smartphones, PC’s and connected devices. The sample size will increase 25% to 2,700 individuals from 1,000 households, the two agencies added. The panel will be picked from systematic random sampling, and be updated twice a year. Each rating will represent 1% of Hong Kong population, equivalent to approximately 64,000 viewers. Nick Burfitt, APAC managing director of Kantar Media, said the company will deploy the latest meter technology to ensure the city is equipped for measuring all TV into 2023 and beyond. Vincent Lam, managing director, Hong Kong at CSM Media Research, added that they company will calibrate panel data with the online census data for programmes and commercials using Kantar Media’s data integration techniques and comScore panel-informed census demographics to deliver granular audience data. 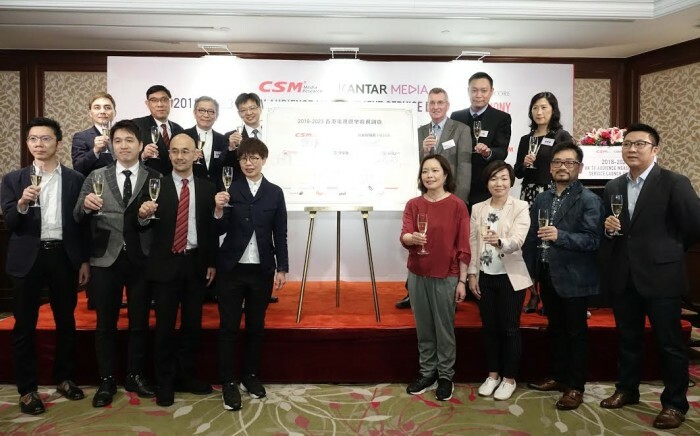 The two research companies were appointed by the Hong Kong TAM Founding Subscribers Committee (FSC), which is the official industry committee formed by 11 media agency members of HK4As, Fantastic TV, TVB and ViuTV. The agency will handle work for Smirnoff and Johnnie Walker, as well as Diageo’s nightlife events platform 9Life. .. The tactical anti-smoking campaign plays on the fact that clocks are going back by an hour in the UK. ..